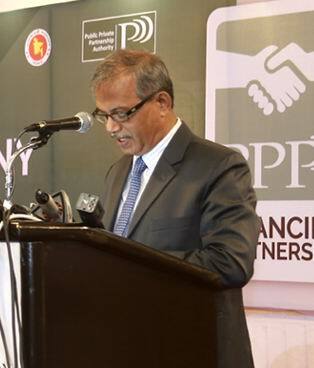 To ensure easy access to financing for the PPP projects and to shorten the timeframe for achieving financial close, Public Private Partnership (PPP) Authority has launched PPP Financing Program through signing a Memorandum of Understanding (MOU) with 14 Banking and non-banking financial institutions on November 03 2016 at Pan Pacific Sonargaon. The MoU allows the partner financial institutions to have priority access to the feasibility studies and draft tender documents for their comments and suggestions to make the documents and the PPP projects more bankable. 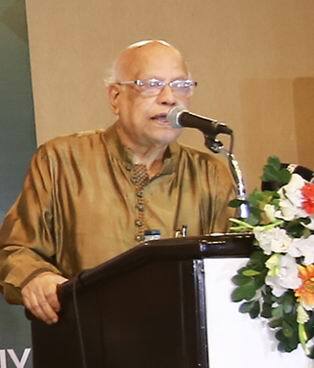 Honorable Finance Minister Abul Maal Abdul Muhith graced the occasion as the Chief Guest while the Principal Secretary of the Prime Minister’s office and the Chairman of PPP Authority Abul Kalam Azad was the Chairperson in the ceremony. Eunusur Rahman, Secretary, Bank and Financial Institutions Division and Mr. Anis A Khan, Chairman for Association of bankers were also present as the Special Guests. On behalf of PPP Authority, Syed Afsor H. Uddin, CEO, PPP Authority signed MOU with the Managing Directors and CEOs of the partner institutions. 14 Banking and non-banking financial institutions that has signed the MOU are AB Bank Ltd, BIFFL, BRAC EPL Investments Ltd, City Bank Capital Ltd, Dhaka Bank Ltd, Green Delta Capital Ltd, IDLC Finance LTD, IDCOL, IIDFC, Modhumoti Bank Ltd, Mutual Trust Bank Ltd, Riverstone Capital Ltd, The City Bank Ltd and Trust Bank Ltd. More than 100 distinguished guests from Public and Private sector participated in this groundbreaking ceremony. Syed Afsor H. Uddin, CEO of PPP Authority welcomed everyone and presented an overview of the PPP program in Bangladesh. He mentioned that the Government introduced the Policy and Strategy for Public Private Partnership (PPP) 2010 as part of the Vision 2021 goal to ensure a more rapid, inclusive growth trajectory, and to better meet the need for enhanced, high quality public infrastructure services in a fiscally sustainable manner. The intent of this PPP Financing Partnership Program is to establish awareness within the banking and finance industry and encourage the banks and financial institutions to start considering PPP projects as prospective financing opportunities. 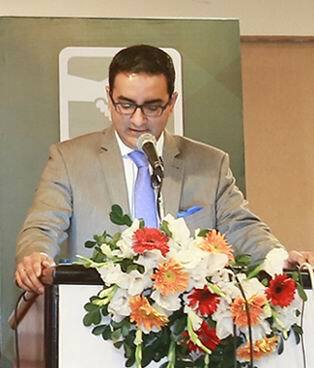 Anis A Khan, Chairman, Association of Bankers Bangladesh Limited thanked PPP Authority on behalf of the Banking Institutions and opined that this Program shall build investors’ confidence as the investors will have financiers ready to finance the project. Md. Eunusur Rahman, Secretary, Bank and Financial Institutions Division, Ministry of Finance thanked the potential investors and lenders for stepping up to this opportunity. He mentioned that by combining the entrepreneurial zeal with the public sector support, a winning combination can be ensured. 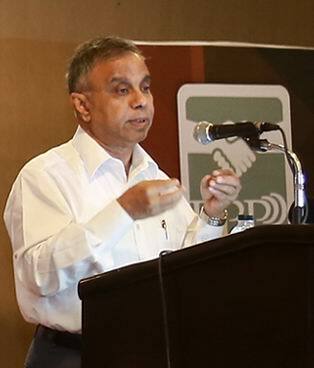 Abul Kalam Azad, Principal Secretary of the Prime Minister’s Office and the Chairman of PPP Authority addressed that the government is committed to provide quality infrastructure to the people and hence taken PPP as one of the most priority tools for private sector investment in infrastructure development of the country. He also informed that Banks and financial institutions under this partnership shall provide the indicative and conditional term sheets expressing their intent to finance the PPP project and the term sheet will form part of the bid packages of the respective projects. Abul Maal Abdul Muhith, Honorable Finance Minister thanked all the partner organizations for their pro-activeness and articulated that the PPP Financing Partnership Program shall be a market sounding activity and will provide the PPP Authority with a better idea regarding the bankability of the prospective PPP projects. He mentioned that through this partnership and by addressing the concerns of the banks and financial institutions, PPP Authority shall also be able to amend the projects documents as far as practicable to make the project more bankable. 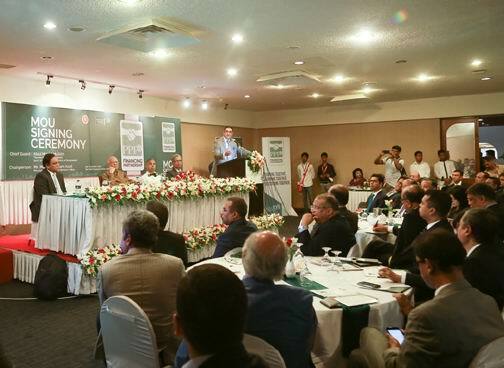 The inaugural ceremony of the PPP Financing Partnership program is surely going to create groundbreaking milestones of PPP success story in Bangladesh. This event shows the maturity of PPP in the country and the rationale that many countries are triggering Bangladesh as the role model for PPP development.